You are here: Home Products By Brands FLUKE-USA Accessories Current Clamps Fluke I2500-10 IFlex Flexible Current Probe - 10"
Fluke I2500-10 IFlex Flexible Current Probe - 10"
The new Fluke iFlex flexible current probes expand the measurement range of the select Fluke meters to 2500A AC while providing the ultimate measurement flexibility. The iFlex probes connect directly to the meter, displaying current measurements without error prone scaling factors. 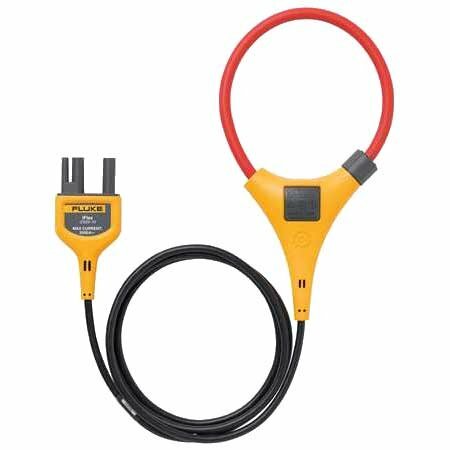 The 1.8 m (6 ft) cord allows separation between the measurement location and the clamp meter making it easier to view the display. The large loop size and thin cross section allow measurement of awkward sized conductors and improved wire access in crowded spaces.